The manufacturers of the best parkour shoes are working on the so-called barefoot shoes for low impact training, which are also known as minimalist shoes. They have no extra cushioning and have a lot of space for the toes so that they can move freely. These shoes are soft, light and flexible allowing for the foot to be almost like barefoot. For the more heavy impact exercises, running shoes with more cushioning, a tighter sole and a tighter fit for more support can be used for parkour. These are models which are being made specifically for parkour and free running provide that extra support and grip to the feet but are still light and flexible, and to provide that stronger sensibility of the feet to the ground and other stepping surfaces.It is crucial for people who practice parkour to find the right footwear, because the wrong ones can lead to slipping, falling and to sustaining very serious injuries. The Flex 2016 running shoes by Nike are also recommended for traceurs. The soft cushioning as well as the articulated flex grooves of the model give the feet a feeling of extra comfort and a more natural range of motion. The lightweight mesh and midfoot webbing system integrating with the laces gives extra lightness and breathability, as well as an adaptive and supportive fit. The partial mesh inner sleeve wraps the entire forefoot giving that plush cushioning feel. The midsoles are made of Phylon with pressure mapping in order to provide extra cushioning and yet be lightweight. 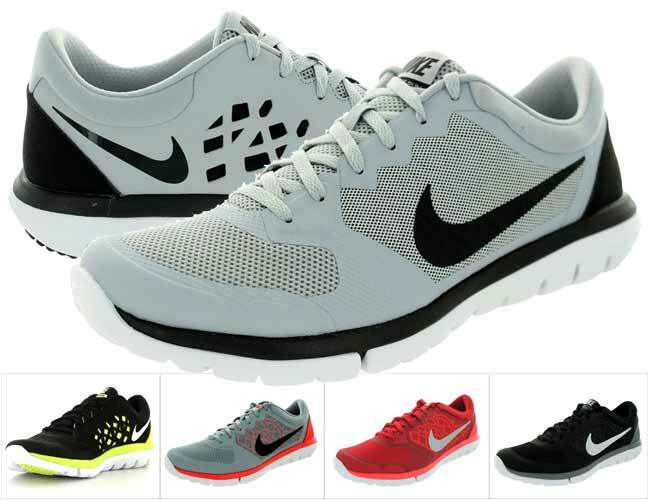 The durability of these Nike Flex running shoes for men is ensured by the phylite carrier for more resilience and for further reduction of bulkiness. The added full length flex grooves lead to a smoother and more efficient range of motion. All these features make the Nike Flex 2017 great for parkour traceurs. The Faas 500 V4 running shoes for men are one of the top shoes suitable for parkour and for free running currently available. They have a very low weight and provide good cushioning. 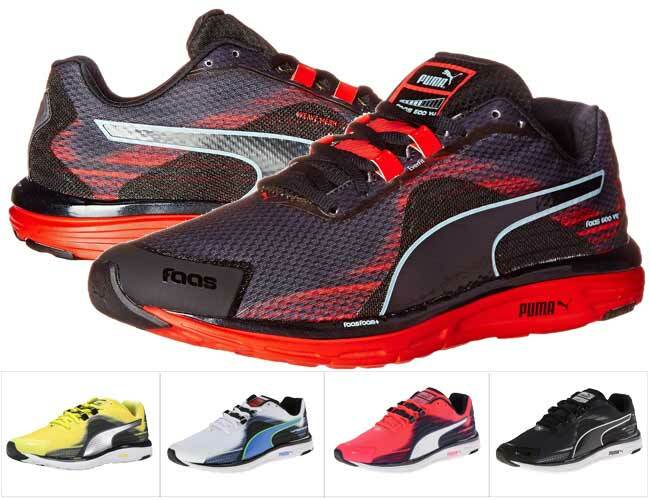 The flexibility of these Puma Faas 500 running shoes has been improved as compared to the previous models in the series, because some additional flex grooves have been added to the midsole and outsoles. Their soles are thin but have anti-abrasion features, which gives the foot a better feel of the ground or other surface. This model has a breathable lining plus an OrthoLite sockliner for added comfort and antimicrobial purposes. The foam midsole is of one piece, is light and durable for added flexibility and a more natural feeling in the feet while running or exercising. The Vivobarefoot EVO Pure Running shoes are another pair of shoes which are among the best parkour shoes. With their unique manmade, anti-puncture sole, these are one of the models with the thinnest soles, allowing for a closer contact of the feet to the stepping surface, for better training of the feet and arches, and yet are resistant enough to keep the feet safe from stepping on sharp objects and to add a nice grip to keep you from slipping. The EVO Pure by Vivobarefoot for men has a removable 3mm EVA insole for thermal protection whenever it is necessary. These barefoot shoes offer excellent breathability with the Dri-Lex wicks moisture and hydrophobic mesh used for the upper. 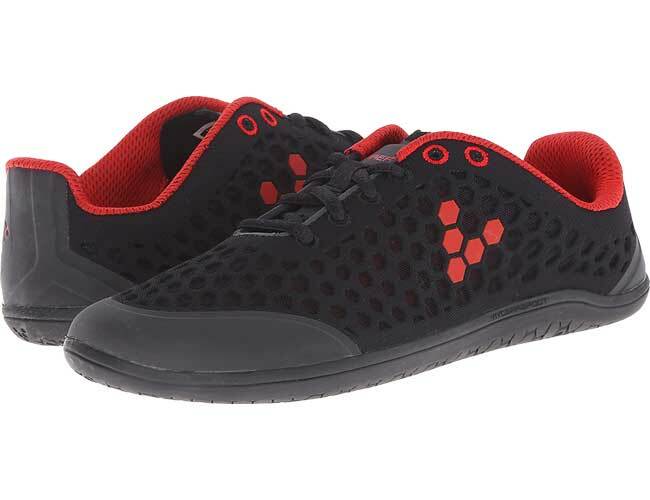 Anyway, this Vivobarefoot model is recommended for experienced parkour traceurs who are used to wearing minimalistic shoes for training, which can otherwise easily lead to pain and injuries. So with its excellent durability, minimalistic design, thin sole and yet one providing an excellent grip and anti-puncture features, the EVO Pure model is perfect for parkour. One of the top UNISEX models suitable for both for women and menwho practice parkour is the Onitsuka Tiger Ultimate 81 sneaker manufactured by ASICS. These shoes have very little arch support and their minimalistic design keeps the foot very close to the ground. 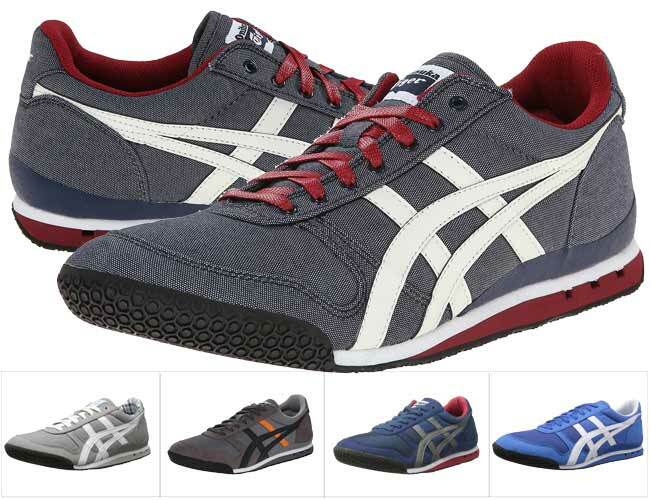 The Onitsuka Tiger ultimate has a slim profile design, a padded tongue and collar for some support, plus a rubber sole. They can be bought in leather or fabric, and are incredibly lightweight and flexible. The thin and bendy soles provide excellent grip but offer a surprisingly good durability of the shoes as well. These ASICS sneakers are made to last, to serve traceurs well, to help develop and strengthen the feet muscles and the arches of those who are wearing them and using them for parkour exercises. The unisex F-Lite 240 are also great for parkour both for ladies, and for gents. They are actually super-light and are made for use on off-road, hard terrains. They are great for free running and parkour due to their low arch midsole, and the sticky rubber outsoles, which provide excellent grip. The meta-flex groove featured in these shoes is aligned at the front of the metatarsal heads in the foot thus giving them a natural forefoot flex. 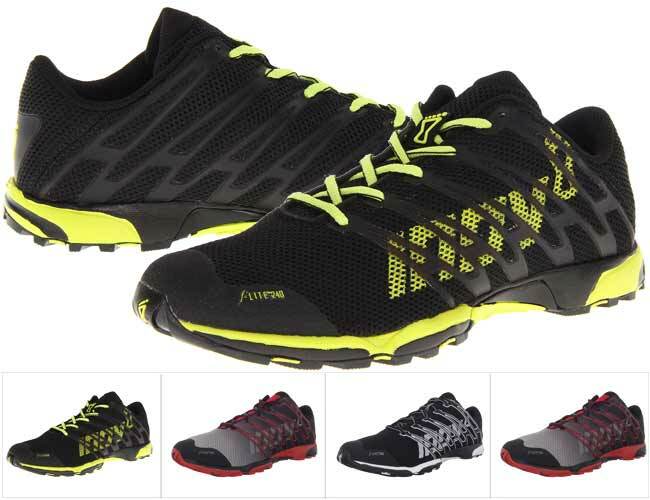 The Inov-8 F-Lite 240 have a synthetic and mesh upper and feature fascia bands which aid the propulsion and limit fatigue, and at the same time the upper webbing supports help keep the forefoot well positioned and securely held. They offer excellent breathability as well. The high quality, the comfort and durability of the F-Lite 240, as well as their breathability, flexibility and low arched midsole make these great shoes for this sport. 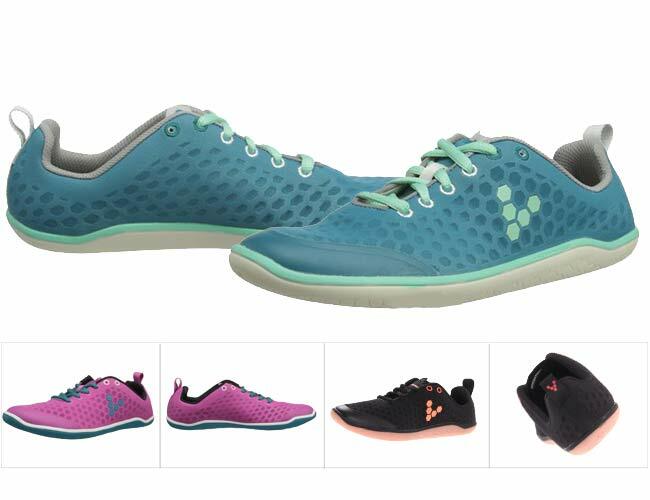 The Vivobarefoot stealth shoes for women is another great model especially suitable for parkour. 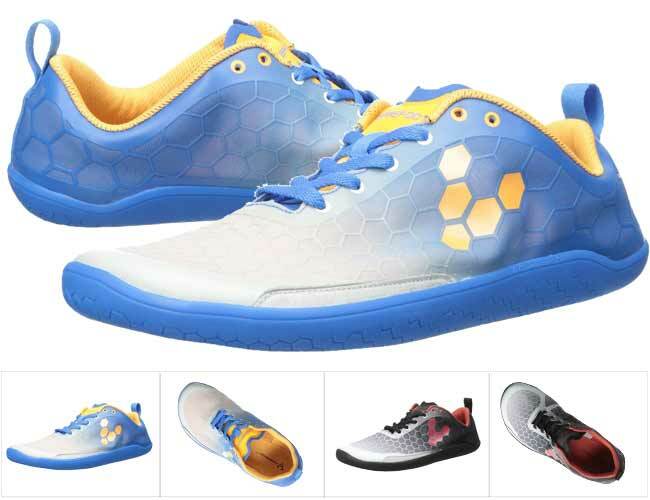 Even though they are running shoes, this model is great for parkour because of several factors. First of all, it features the thinnest Vivobarefoot soles of only 2.5mm. The soles are high abrasion and are suitable for hard and flat surfaces. The puncture resistant soles and their flexibility help exercise and strengthen the feet and arches and yet keep the feet and heels protected from sharp objects. The EVA cages have breathable mesh, and the lining of these Stealth shoes is so soft that they can be worn barefoot. They also have a TPU film toe guard for protection. The Vivobarefoot Stealth have a great design and look really cool, but most importantly have some of the most important features of the best parkour models, including: comfort, flexibility, lightness, proper arch support, and a mesh upper which provides perfect breathability. Even though the founder of parkour David Belle has claimed that the best shoes for parkour are bare feet, which should allow for the training of more resilience and strengthening to the feet, this is quite a dangerous and painful idea. The reason is that modern-day feet are soft and not used to barefoot walking in uneven terrains and surfaces, and can easily be injured during the vigorous parkour exercises. This is why, more manufacturers have started designing and producing shoes which are especially made for parkour. It is the shoes which we have been wearing all our lives that have made our feet so gentle and underdeveloped, which is why they are seen by some parkour traceurs as a hindrance to the proper use of the muscles in the feet. There are several characteristics which are important for a good parkour shoes. As we mentioned, they are many sports shoes which can be used for many other sports, like crossfit. Naturally, it should fit the foot perfectly and comfortably, because training parkour in uncomfortable shoes can turn into an unbearable experience. Of course, comfort doesn’t mean that the inside should be cushioned all over, but rather that they fit well and yet still leave some sensitivity in the feet for the different surfaces and movements. This is necessary in order to strengthen and further train the feet. Another important characteristic to look for is durability. Given the serious and vigorous training exercises, durability is important, because you don’t want to have to be buying new sneakers every other week. The sole of the good parkour shoes needs to have the proper grip, flexibility and design to allow safe and effective training, much like basketball shoes. As a rule of thumb, the soles have to be thin and flexible, in order to keep the feet closer and with better sensitivity to the ground and landing surfaces. The soles can be made different materials, some providing a better grip and others which will last longer. The construction is very important, too. The one piece sole is much more durable than soles which are made of a variety of different segments, so choose a pair with whole one piece soles, if you don’t want part of your soles falling off during your training sessions. As for the arch support, you should avoid any footwear with hard plastic in the place of the arch, because this could lead to bad injuries and a lot of pain if landing inappropriately. Of course, beginners can try shoes with good arch support for more stability at first, but they too should choose the models to be with flexible soles. Otherwise, by wearing minimalistic shoes, the arches become strengthened and well developed.